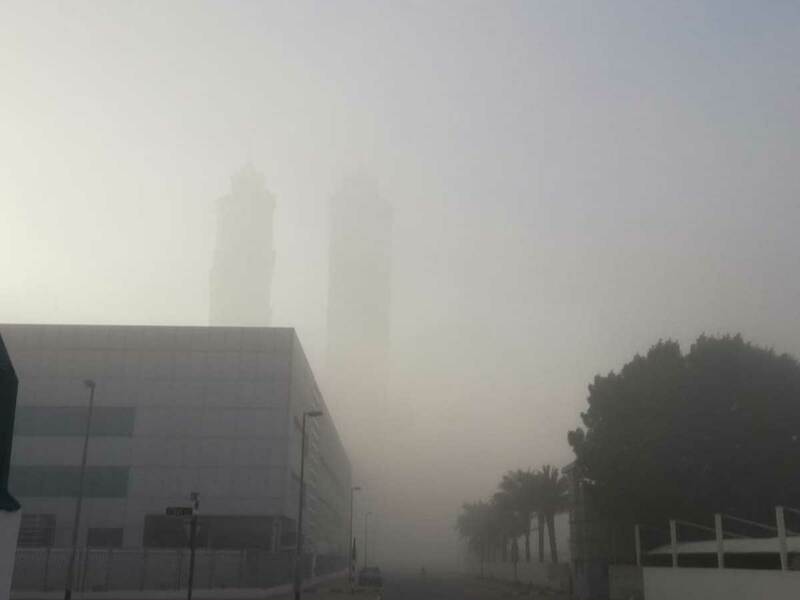 Dubai: UAE residents woke up to a foggy morning on Friday. Thick blanket of fog enveloped most parts of the country, dipping visibility drastically. “The tall, beautiful towers adoring both sides of Shaikh Zayed Road in Dubai were almost invisible, I could only see the road ahead of me, and that too not too far,” said Mohammad Jalal, an early-morning commuter from Sharjah to Dubai. "Thankfully it is a weekend, so there is no traffic on the road," added the resident. Some flight services from Dubai airport have been affected due to the fog, according to a tweet from Emirates airlines. Travellers have been advised to check flight information. Earlier on Thursday, various parts of the UAE experienced moderate to heavy rainfall accompanied by thundershowers. The unstable weather conditions are expected to continue over the weekend. The UAE is also expected to receive morning showers accompanied by moderate wind speeds between 20km/h to 30km/h. During the day on Friday, forecasters predict clear skies in most parts of the city, giving residents a chance to enjoy the outdoors.